Gospel of John 8:41 You do the works of your father. They said therefore to him: We are not born of fornication: we have one Father, even God. 42 Jesus therefore said to them: If God were your Father, you would indeed love me. For from God I proceeded, and came; for I came not of myself, but he sent me: 43 Why do you not know my speech? Because you cannot hear my word. 44 You are of your father the devil, and the desires of your father you will do. He was a murderer from the beginning, and he stood not in the truth; because truth is not in him. When he speaks a lie, he speaks of his own nature: for he is a liar, and the father thereof. 45 But if I say the truth, you believe me not. Speaking of I.Q. - it has been said, quite correctly, that I.Q. only measures I.Q. - True. Rastus, you come here to vote? You must take a literacy test. Name all the classical Greek authors in antiquity and give us a complete synopsis of all their works in order of their accepted importance in Roman scholastic interpretation. You have two minutes to write your entire answer in Latin. Billy Bubba, you come here to vote? You must take a literacy test. Can you name at least three letters of the alphabet? Take your time now, no rush. Just answer verbally. dumbed down is dumbed down and EXCLUDED IS EXCLUDED. But take note that African Americans in America overcame the evil systemic prejudice and lies against them because God was on their side. In order to combat the Franz Boas instigated racism predominate in American Anthropology (based on Austrian and general European 19th century ethnologistic racism), in the 1950's, American progressive Anthropologists threw the 19th century cranial measurement bunk back in the face of the racists. They conducted their own research and found that of all peoples on earth, if you based it on cranial capacity, Zulus and Eskimos (both 1500 c.c. cranial capacity - 300 c.c. 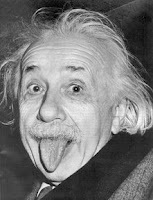 above everyone else on earth) are the smartest folks there are. 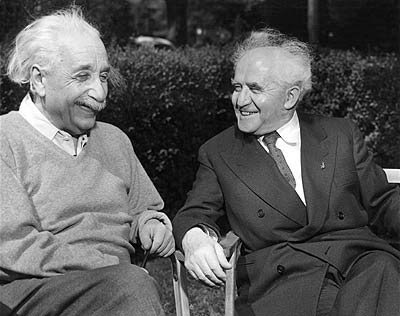 Albert Einstein was a Jew. Einstein's earlier career consisted of theft in the Patent Office he worked in and some of the worst mathematics ever posited and twisting of theories of Georg Friedrich Bernhard Riemann among others. He was an Atheist (hiding under a secular non-theist mystical cover) - Communist - Zionist who was primarily responsible for the Atomic Bomb being used on Japan. Einstein's "theory of relativity" was disproved in the 1950's among physicists, but the disproof was ignored because of political pressure stemming from the 6,000,000 lie of the non-existent hoaxacaust upon which Einstein's immigration to the United States was based. The whole reason for his machinations was to help the Zionist genocidal invasion of Palestine to succeed. Palestine was a rich and inhabited land that belonged to the Palestinian Arabs and no one else. Finally, it's not only that Palestine enjoyed a strategic commercial location (being the land bridge between Asia and Africa), its lands were also fertile and planted with all sorts of trees a long time before the Zionists came to its shorelines. Below Einstein with mass murderer of Occupied Palestine, David Ben Gurion. Such are the murderous politics of Judaism. Eintein's world view was adopted straight from Cabala. Cabala is second century B.C. Gnosticism carried forth into Judaism by Christ-hating Rabbis. Cabala is a general name for Jewish mysticism and includes a type of occult theosophical formulation of the doctrines of Judaism. Every word, letter, number, and accent of the Scriptures is believed to contain mysteries. The principal written sources are ''Sefer Yezira'' (Book of Creation, translated in 1894 but possibly written in the 3rd century B.C.E.) and ''Zohar'' (partially translated in 1949), written by Moses de León in the 13th century but attributed to a 2nd-century scholar, Simon ben Yohai. When Jews were expelled from Spain in 1492, Isaac Luria developed cabala and found many adherents, including the pseudo-Messiah Sabbatai Zevi. In the 18th century, a movement founded by a reputed miracle healer, Baal-Shem-Tov and known as Hasidim, continues to influence present-day Hasidic Jews. One of the signers of [http://www.philosopedia.org/index.php/HUMANIST_MANIFESTO_II Humanist Manifesto II], [http://www.philosopedia.org/index.php/Joseph_Leon_Blau Joseph L. Blau], has written ''The Christian Interpretation of the Cabala in the Renaissance'' (1944).